With the Hallmark holiday around the corner, I decided to bring up a homemade gift I made during Christmastime. Let me start by saying, I'm not really into granola. I think I overdid it with granola bars growing up and now it's mostly blah to me. But then Twin Sista introduced me to this Eleven Madison Park granola and I now only love that granola. It's salty, sweet and has the right balance of oats, nuts and dried fruit. 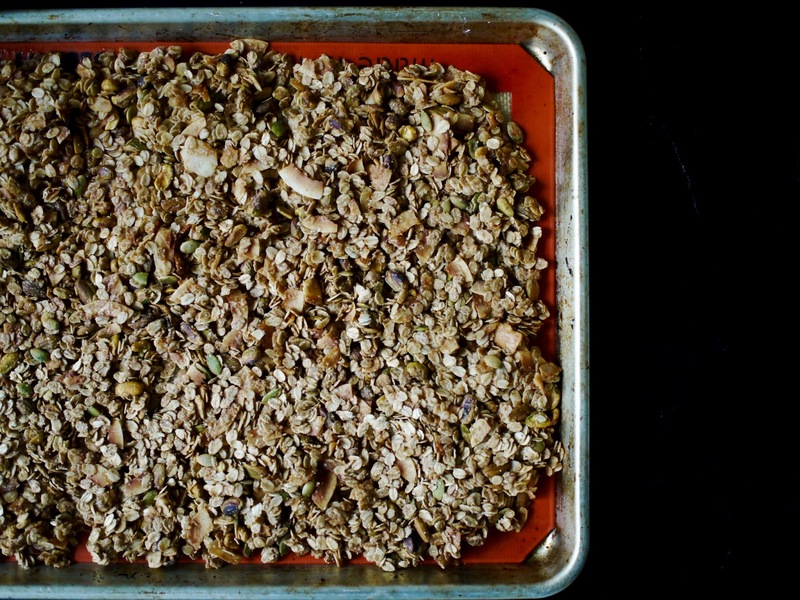 The only catch is that you'll only like this granola if you like coconut. So for the non-coconut lovers in my life, sorry, this isn't for you. 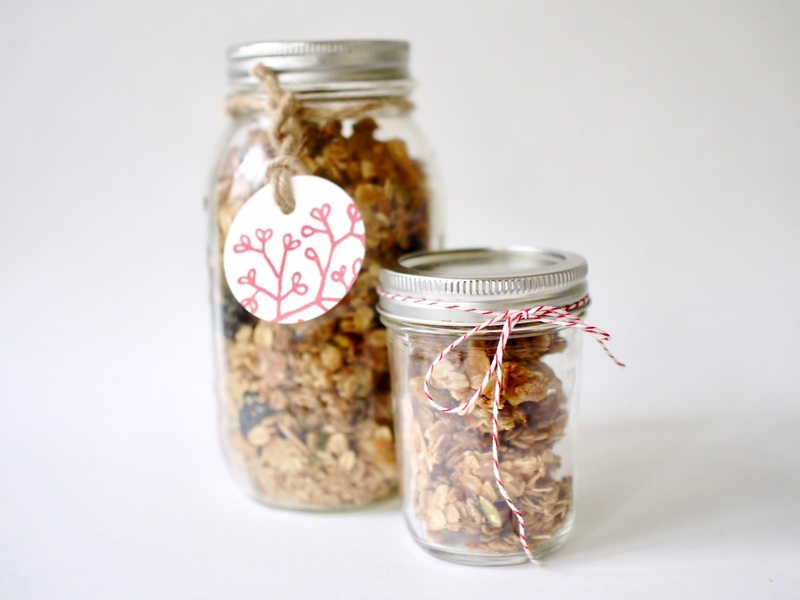 And who says you can't say "I Love You" with a jar of homemade granola? The Recipe: Eleven Madison Park's Granola featured on Serious Eats. You can save money by raiding the bulk section at your local Whole Foods/grocery store. Some of these ingredients aren't super cheap but it's well worth the time and effort to make!